Even the packaging for the BBS Lugs is official…. If you are looking for a classy way to dress up your BBS wheels, and keep them safe at the same time, check out these locking lugs from BBS. These are made exclusively for BBS by McGard, one of the best lugs in the business! No soft aluminum here, these are steel with steel threads, so they won’t strip or wear out and the color won’t fade. What’s more, the seat of each lug rotates freely 365 degrees, so when you’re torquing it down, it will not scratch the inner seat area of the wheel. Set includes 20 lugs, available in red or black, with the key. Available in 12×1.25 or 12×1.5 Priced at $250 for the set in red and $450 for the limited black. Contact us at z1sales@z1auto.com to order yours! FALLing Prices on Select Toyo Tires!!!! All are offered first come, first served. 205-55-15 – 1 set left $599 shipped for the set of 4!!!! 205-55-16 – 1 set left $615 shipped for the set of 4!!!! 225-55-16 – 1 set left $689 shipped for the set of 4!!!! 235-40-17 – 2 sets left $840 shipped for the set of 4!!!! 235-45-17 – 1 set left $855 shipped for the set of 4!!!! 245-35-17 – 3 sets left $817 shipped for the set of 4!!!! 225-40-18 – 1 set left $915 shipped for the set of 4!!!! 225-45-18 – 1 set left $995 shipped for the set of 4!!!! 235-30-18 – 1 set left $982 shipped for the set of 4!!!! 235-45-18 – 1 set left $982 shipped for the set of 4!!!! 245-40-18 – 1 set left $1020 shipped for the set of 4!!!! 245-45-18 – 1 set left $1124 shipped for the set of 4!!!! 245-45-19 – 4 sets left $1294 shipped for the set of 4!!!! 245-40-17 – $710 shipped for the set of 4!!!! 205-40-17 – $599 shipped for the set of 4!!!! 225-40-18 – $957 shipped for the set of 4!!!! 305-35-18 – $1175 shipped for the set of 4!!!! 195-55-15 – $599 shipped for the set of 4!!!! 205-40-17 – $729 shipped for the set of 4!!!! 215-45-17 – $729 shipped for the set of 4!!!! 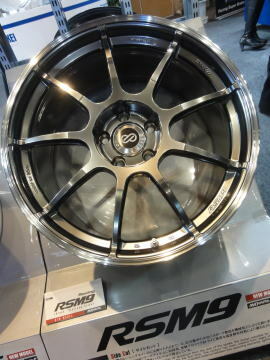 GTR 285-35-18 front, 315-30-20 rear – $1799 shipped for the set of 4!!!! TSW is one of the oldeest aftermarket wheel manufacturers out there. They are known for bringing excellent value to the table with unique designs and wheels that can withstand just about any road conditions. Their newest offerings are the Nurburgring (mesh) and Interlagos (9 spoke). Both feature the new Rotary Forging construction. Rotary forging is a manufacturing process by which the outer rim is ultra high pressure forged, while the wheel itself is spun at very high speeds. This creates an internal molecular structure that is better organized vs traditional casting techniques. This leads to less open space between the molecules, meaning a denser, stronger wheel with less poracity. Pricing is excellent for wheels of this quality, and through a special arrangement, we are able to give you guys awesome pricing with Kumho’s venerable V12 Ventus tire. Shown here for the 350Z and 370Z, but we can package these for just about anything! Does Your Steering Wheel Pass? If you’ve been looking for a true quality wheel, that is both lightweight, strong, clears a big brake kit, and gives you the aggressive look everyone these days is after, we’re happy to introduce you to Forgestar. 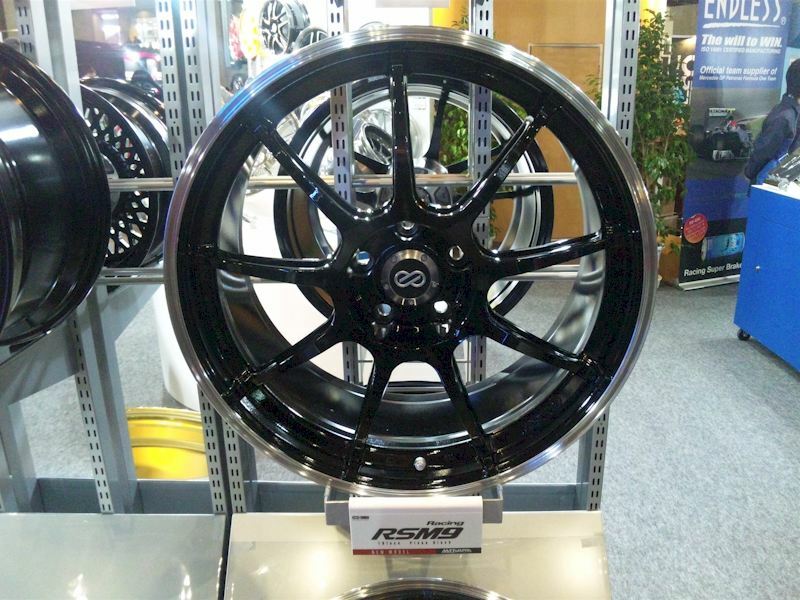 Forgestar wheels are flow formed, a casting process similar to what SSR and Enkei employs. This process allows production of intricate spoke and barrel designs, while maintaining very consistent molecular arrangement through the wheel (high strength), without the typical casting flaws found in cheap, low end wheels. What also sets these apart is they are specifically engineered to work with both factory and aftermarket big brake kits from Brembo, Stoptech, Endless, AP Racing and more! And lastly, we know that everyone wants something unique, That’s the whole point of modifying your car in the first place. We’re able to bring you a wide range of personalized options, ranging from a variety of colors, textured finishes, accent stripes and more! 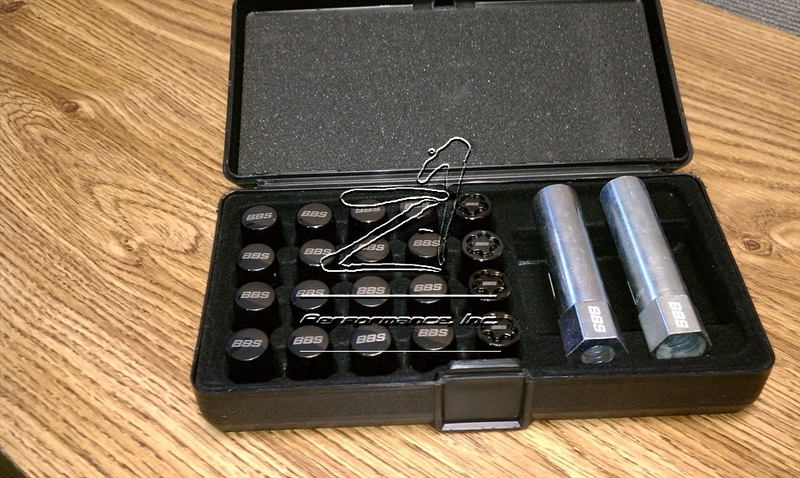 To order your set, contact us at z1sales@z1auto.com or (631)863-3820. Thank you! Does it get any better? Just listen the the orchestra of 12 cylinders firing harmoniously. This is a tangiable expression of passion in design. I was sent this the other day by the folks at Alfred Dunhill UK to share with you guys, as Jaguar prepares the launch of the C-X75. We are proud to announce the availability of a new product for us that we hope you enjoy. With JPM Coachworks, we are introducing our line of interior accessories designed to enhance your enjoyment of the 350Z. We will be kicking off the product introductions with our shift boot as shown below, and figured the best way to do so was via a group buy. Why a Shift Boot? Don’t Other Guys Make Shift Boots? The shiftboot is like the centerpiece in your car. When it’s clean, and new, and fits well, the whole interior seems more modern, fresh and up to date. When it’s dirty, sagging, wrinkled, cracked, everything around it seems tattered as well. We chose to start things off with a shift boot because it’s quick to turn around, it’s highly customizable (read more below), it fits like a glove, it’s a cinch to install. Do others make shift boots? Yep – but theirs aren’t ours. What makes ours different? The materials (all of them), and the fact that they are made here in the USA. When you compare apples to apples, we think you’ll find that there is no finer one available for your car. Leather is something people are familiar with, but like anything else, there are different grades and qualities. Cheap stuff feels like plastic, has a very un natural shine to it, can get very brittle in a short amount of time, and doesn’t tend to hold it’s shape very well. The leathers we use are imported from Vicenza, Italy. The hides are full grain leather with even coloration throughout. Each hide features a supple soft hand and an impeccably smooth surface that makes it one of the most beautiful types of leather available. The finish is protected, making it suitable for automotive use. Additionally, the leathers we use are processed using low emission mineral tanning formulas which are environmentally friendly. Each hide is re-tanned in aged oak drums using vegetable agents, natural fat liquors and oils along with dyes that ensure the leather is properly through dyed. No PCP or CFC is used during the tanning process. A water-based finish is applied to provide an even coloration and protection to the leather. Alcantara is something most people are not familiar with. uses only genuine Alcantara and never works with substitutes. If you’re not familiar with this revolutionary material and its origins, let’s go over the ins and outs as well as a few misconceptions that others in the industry have about it. Alcantara was developed in the 1970s by Miyoshi Okamoto, a scientist working for the Japanese chemical company Toray. In 1972, a joint venture between Italian chemical company ENI and Toray formed Alcantara SpA in order to manufacture and distribute the material. Throughout the years, Alcantara has been popularized as a prestigious material for use in automobiles by being used in exotic marks such as Ferrari, Lamborghini, and Aston Martin as well as others. The soft, suede feel of the material leaves you with an experience of luxury and comfort that is unequaled by its competitors. Through its manufacturing process, Alcantara is afforded benefits that could never be achieved by actual suede. Unlike actual suede, Alcantara does not fade, is stain resistant, and will not bleed its colors among a number of things. Alcantara will not heat up like leather in the summer or cool down in the winter, making it the perfect solution for seating surfaces. Its unique texture also provides amazing grip that will keep you glued into your seat for track days or spirited driving. 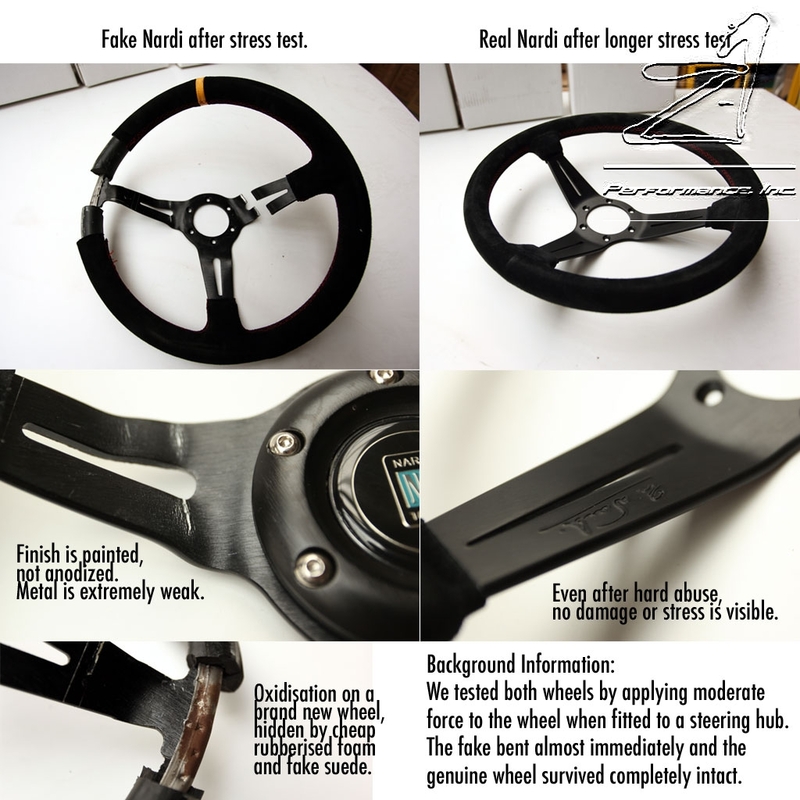 For these reasons, it is also a popular material for use on steering wheels. Now that you know a little bit about Alcantara, let’s go over a few misconceptions that are floating around the car interior world. First, you must understand that Alcantara is a particular material and trademarked name. It is not a generic term or label although some shops use it whenever describing similar materials. Ultrasuede is not Alcantara. Ultrasuede is in fact a close cousin of Alcantara and also a trademarked name by Toray Industries. Ultrasuede was invented about the same time as Alcantara using similar procedures so it has a similar look and feel as Alcantara. However, Ultrasuede is usually intended for use in other manners such as furniture, clothing, or interior styling and is not best suited for automotive use although it does make its way into show cars that are after a particular color that is not available in Alcantara. Ultrasuede is probably hurt the most by generic use of the term to describe suede like materials. Chances are if someone says they are using Ultrasuede, they are using a substitute. Be careful that you are not misled when someone is saying they have Ultrasuede or Alcantara and always ask for them to clarify that they are indeed talking about the actual products and not a competitor. So what’s the big deal about using the genuine article? Toray Industries, as the pioneer of this material, has spent decades perfecting the material and the way it is able to be used. It is something that cannot be duplicated over the course of a few years or just by using a similar process. We’ve had a chance to see, feel, and test many of the competitors. The end result is that they just don’t stack up. We understand that every application is unique and demands a different physical property so there are actually two variations to Alcantara. These variations allow us to use a super flexible version in heavily contoured areas and a more reinforced version for applications that should not stretch, such as seating surfaces. Most competitors offer one choice that does neither very well. Alcantara’s manufacturing process creates a very dense material that has an even soft finish to it. Almost every single competitor uses a weave pattern that exposes each row and is never as dense. For the few that might get close to the density of Alcantara, the softness of those materials fall extremely short. The history, technology, and quality of this amazing material is why we will use nothing but genuine Alcantara. Something a lot of people overlook, but which makes or breaks the end result! We use a UV protected thread that ensures color-fastness, durability and long lasting appeal. Here is something that most shops cut corners on all the time. Just about every shop that does custom interior work settles for a cheap thin thread in any fiber they can get it in. Why do they do this? Well, to put it simply, it is very difficult to find a good selection of colors in a thread that is as thick as OEM applications and is made from a fade resistant polyester. We go out of our way to make sure we’re not only using a thick thread that will stand out, but we also make sure we’re not using subpar fibers that will fade over time. It may be a bit harder to work with and a lot harder to find the right colors but, we feel that the extra effort on our part makes for a superior product that we are proud to put our name on. What Colors are Available? What Options do I Have? For purposes of the group buy we will be sticking to black or CSL grey (as shown in the M3 CSL) for the boot color. If there is something custom you want outside of the group buy, let us know and we are happy to work with you on a custom order basis. Thread Color – we figure the most popular color choices will be red, followed by perhaps blue or silver, and those are all shown in the pictures above. It’s a single row stitch on either side of the seam, so it’s clean, and classy and very OEM looking, without being overbearing. Again, if there is something more tailored you want outside of the group buy as a custom order, let us know! What are the Prices? How Many People Do We Need? How Long Will It Take? The Group Buy Price will be $59 shipped in the 50 states. 10 people makes the group buy happen @ that price. The more the better of course, but 10 is all we need. If there are more than 10, the price won’t likely change downward by more than a very small amount (a dollar or two), since they are all handmade, and have to be individually shipped. Once we’ve got 10 people, we will collect payment and you’ll have the boot in your hands inside of 14 days. MSRP will be $85 shipped in the 48 states for either the Leather or Alcantara when the group buy is over. Contact ua with your desired setup, and we’ll keep a list. Once at least the 10 people are listed, we will contact you for payment info and begin production. We want these things in your hands asap as well! What if I Want Something Custom, Outside of the Group Buy? Contact us outside of this thread via phone @ (631)863-3820, email (z1sales@z1auto.com) and we’ll be happy to work with you on a custom order. What Other Stuff Will You Be Coming Out With? A full assortment of matching, complimentary interior accessories, so stay tuned! The HKS gaskets feature a 4 layer design with a stopper type design, are .7mm thick, and feature a 97mm bore. The stopper design is a vast improvement over the stock headgasket, which only uses a raised ring around the piston bore to seal compression. The stopper type design employs a ring around the bore to effectively seal compression.